You can get a taste of Heavenly Sweets at the Indiana State Fair this year, 2018. Visit our good friend, Ms. Alfie, in the Gobble Gobble Food Truck. She has delicious, amazing food and features Heavenly Sweets Cupcakes on her food truck. with their Turkey Legs and Mac Daddy. If you’re visiting the State Fair, stop by see her, grab a bite and tell her Heavenly Sweets sent you. FREE CUPCAKES ON ELECTION DAY 2016! Wear your “I VOTED” sticker in our store on Nov. 8th, 2016 to receive a FREE White or Chocolate Cupcake from Heavenly Sweets. ***If you voted early keep your sticker and come in on Nov. 8th and also receive a FREE White or Chocolate Cupcake. **No cash value. Good only 11/8/16 during normal business hours. Non transferable. Expires 11/9/16. Good for 1 white or chocolate cupcake per “I Voted” Sticker. 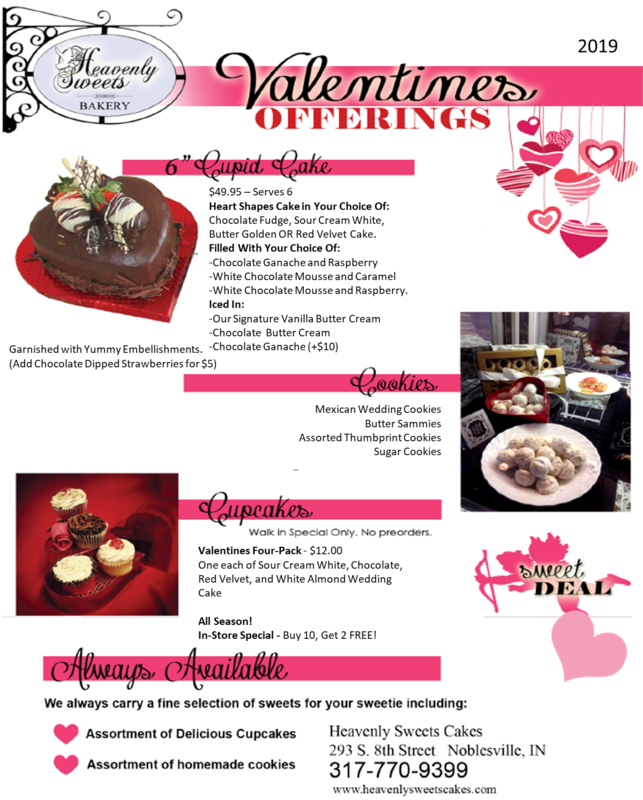 Heavenly Sweets’ Holiday Menu is Here!